The Chelsea Breeze newsletter helps keep our residents informed about on-site social activities and the many achievements of our residents, staff and volunteers. We’re very proud of our people and cherish the great things they do every day to keep our close-knit community going. Send in a news tip for the Chelsea Breeze. With the hot, sunny (and often very smoky) days of summer now over, and Fall now upon us, we at New Chelsea Society, are facing some dramatic changes. 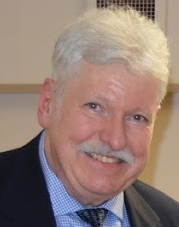 With the recent sad and untimely death of our Society’s President and Board Chair, Don McPhadyen, we welcome Vice-President Doug Longhurst into the role of President, and will work hard with the rest of the Board to ensure that the business of the Board carries on as usual, as Don would have wanted. Also the Society is preparing to move its head office from our current leased location on 6th St. and 16th Avenue in Burnaby where we’ve been for over 6 years, to a new head office in the Glen Lyon Business Centre at 4300 North Fraser Way in South Burnaby. The purchase of this large undeveloped strata office space doubles the Society’s head office foot print, and gives us over 5,200 square feet of much needed room to flourish and grow. We are in the process of designing and building the interior of our new office and hope to move in early next year. You will notice our Chelsea Breeze Newsletter has a new look as part of our new communications plan, we intend to reach out to all our important stakeholder groups in various ways to keep you informed as to the goings-on at New Chelsea Society. Don McPhayden, President and Chairman of the Board of New Chelsea Society, passed away on Tuesday, September 18, 2018. We extend our deepest sympathies to all his family, friends and colleagues. It was a great privilege to know Don and to work alongside of him at New Chelsea Society over many years. Don continuously served on the Board of New Chelsea Society for 15 years in various positions including Executive officer, Second Vice President, Vice-President, and President and Board Chairman. 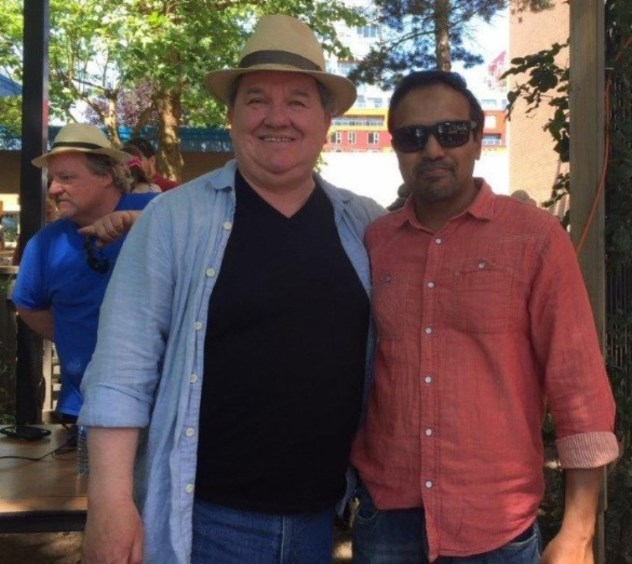 Don was well known and respected amongst his peers, the Legion community, New Chelsea Board of Directors, Staff and Residents, and the Society’s many Partners. He will be greatly missed. Pictured below on the left: Our Board members were elected at the AGM held on June 25th, 2018. 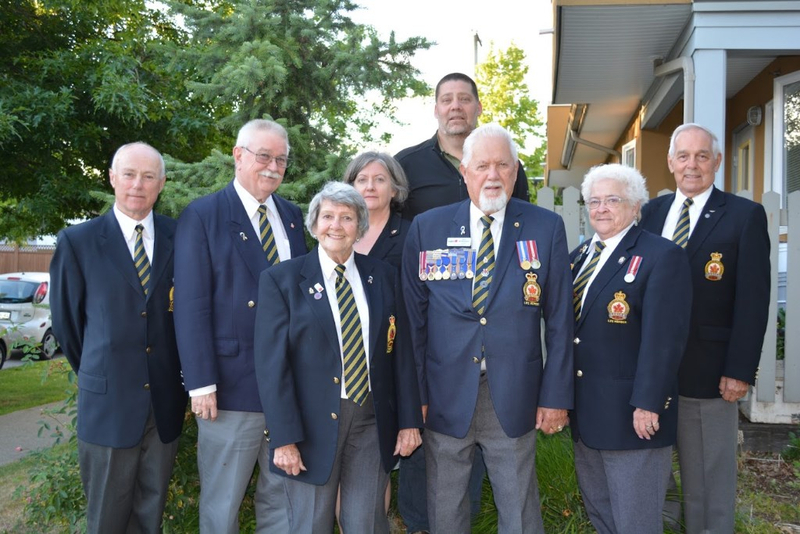 From left to Right: Kevin Moore, Jim Howard, Helen Akeroyd, Natalie Bailey, Harvey Peters (Secretary- Treasurer), Don McPhadyen (President), Sheran Lee Thomas, and Bill Summersgill. Missing:- Doug Longhurst (1st Vice-President, now President) and Terry Alleyn. Pictured below on the right: New Chelsea Society would like to take this opportunity to thank retiring Board member Dave Taylor for his service to our organization. We wish him all the best. 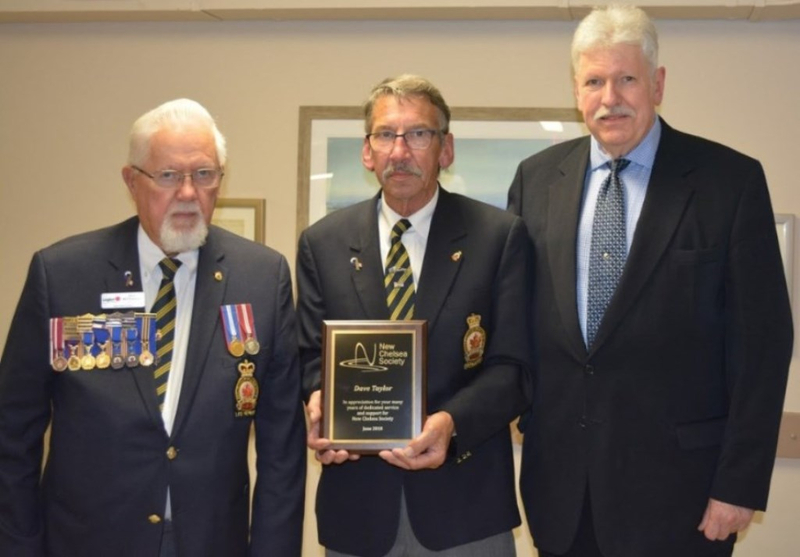 Wilson Gurney (middle), accepted a token of appreciation from Don McPhadyen (left) and Pat Buchannon (right), on behalf of Dave Taylor. 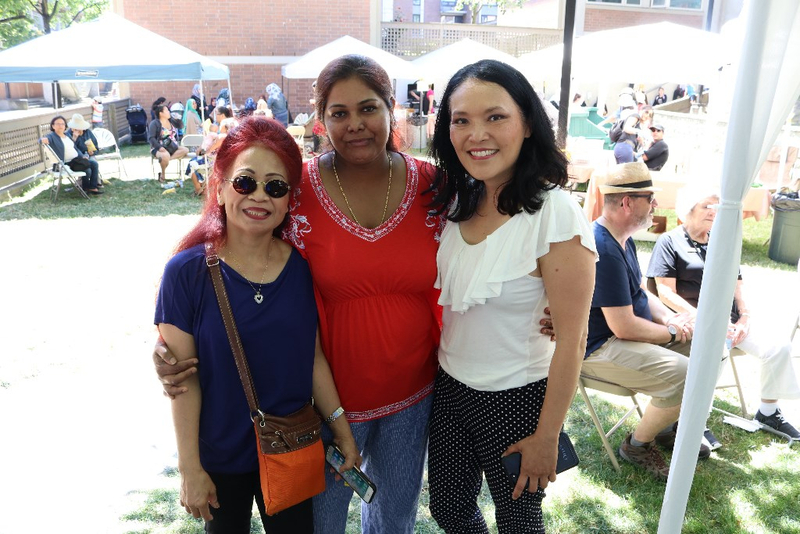 The annual Stamps Place Summer BBQ was held on July 14th, 2018. 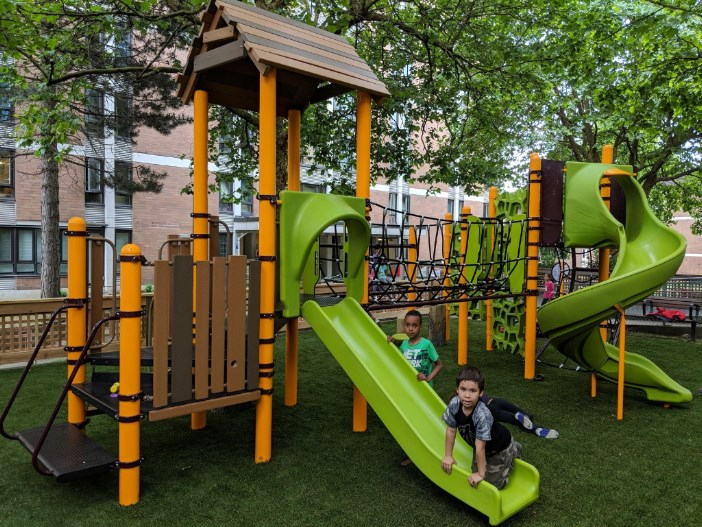 Member of Parliament Jenny Kwan and MLA Shane Simpson, Minister of Social Development and Poverty Reduction, attended the event, met with our residents & staff, and participated in the opening of our new playground. 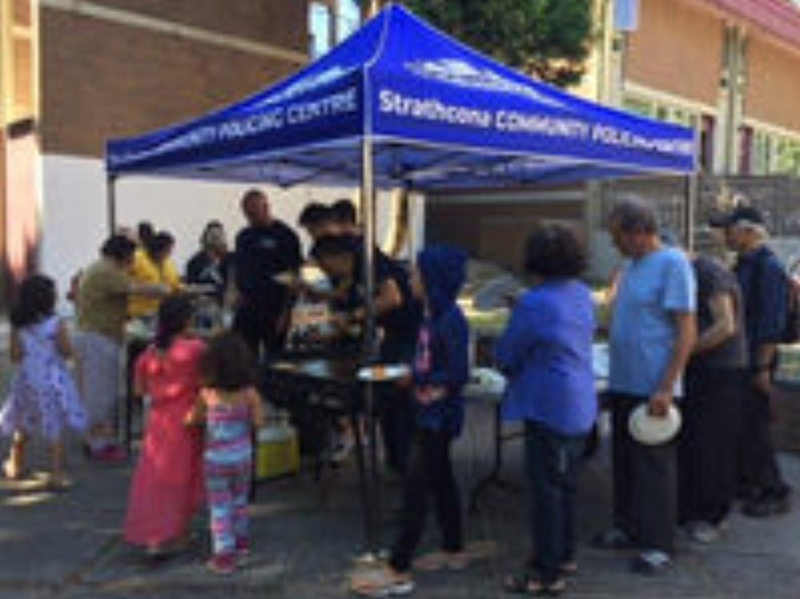 New Chelsea Society also partnered with the Strathcona Policing Centre to host a pancake breakfast to kick start the Community Mural Event at 512 Raymur Avenue. The mural initiative, featuring local artist Jerry White head, was funded in part by the City of Vancouver’s Street Art and Graffiti Management Team. 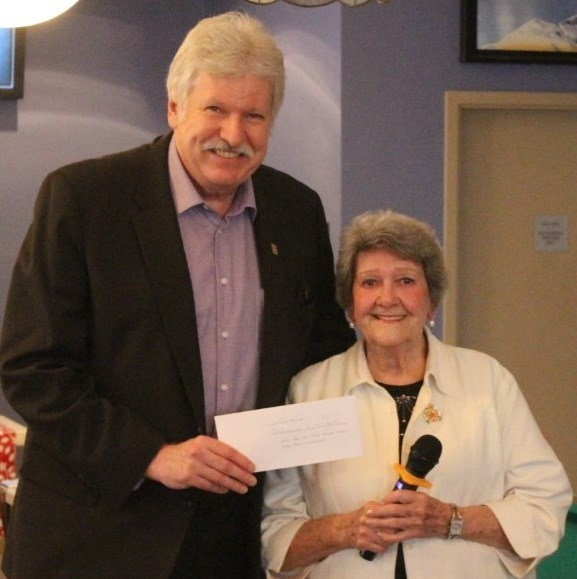 Pictured on the left below: Executive Director Pat Buchannon accepting a donation ($6,500) for Winch House from the Treasurer, Trip organizer and Bus Booking Coordinator of the Burn -a-Bee Swinging 60+ Seniors Club, Helen Akeroyd. This Burnaby based Seniors club recently sold their 40-passenger bus, which NCS rented for seniors outings for the past 16 years. 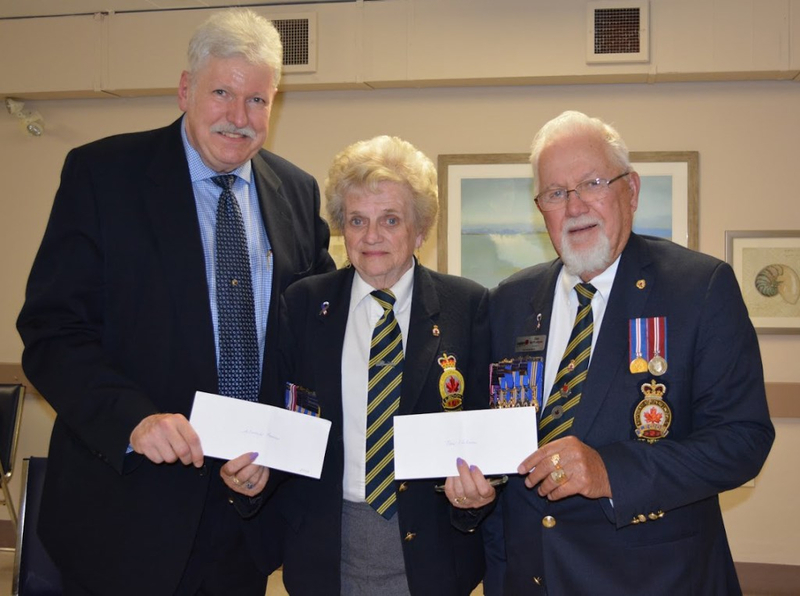 Pictured on the right below: Grace Browning, on behalf of RCL Branch 148 made a generous donation of $ 1,000 to Winch House and $3,000 to NCS, from the proceeds of the Branch’s Poppy fund. New Chelsea Society recently completed a collaboration with Burnaby Community Services to train a group of residents at Chelsea Terrace as Seniors Ambassadors. Welcoming Seniors’ Spaces Workshops took place weekly and 8 participants attended. 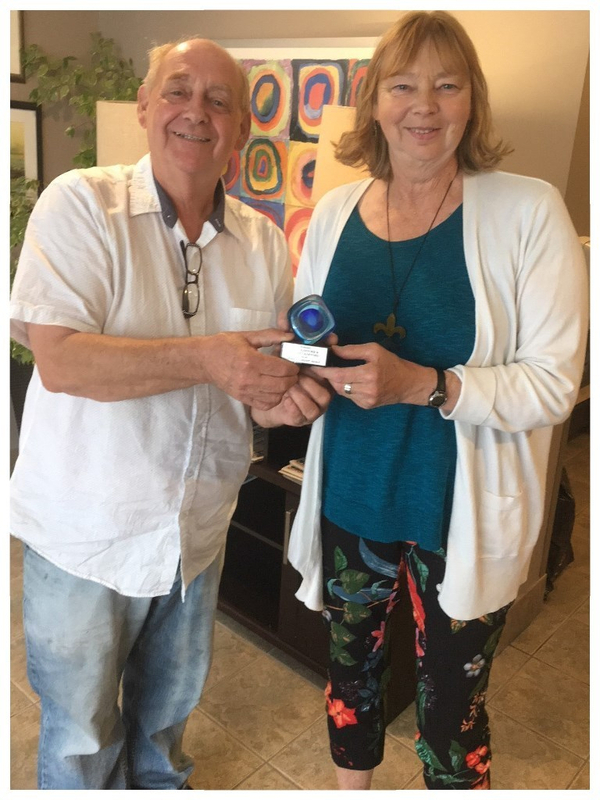 Heather Johnson, Director of Programs, at the Kidney Foundation of Canada, BC and Yukon Branch, recently awarded Staff Don Crawford and his wife Elaine with the Patient Support Award. For the last 18 years, Don and Elaine Crawford have ensured that all those who stay in the 4 Kidney Suites at Chelsea Tower are made to feel comfortable and aware that these managers are available should they need anything during their 2 month stay. From The Kidney Foundation perspective, Don and Elaine go beyond just welcoming the post-kidney-transplant patients. They have created resource materials for each suite so that residents know what shops and resources are nearby, they have been known to show up at the patients’ door with homemade soup, and they make sure to invite the kidney patients to all the fabulous celebration events at Chelsea Tower. The Kidney Foundation is very comforted in knowing that these transplant recipients are in good hands with Don and Elaine.